By far my most challenging cheesecake recipe ever! 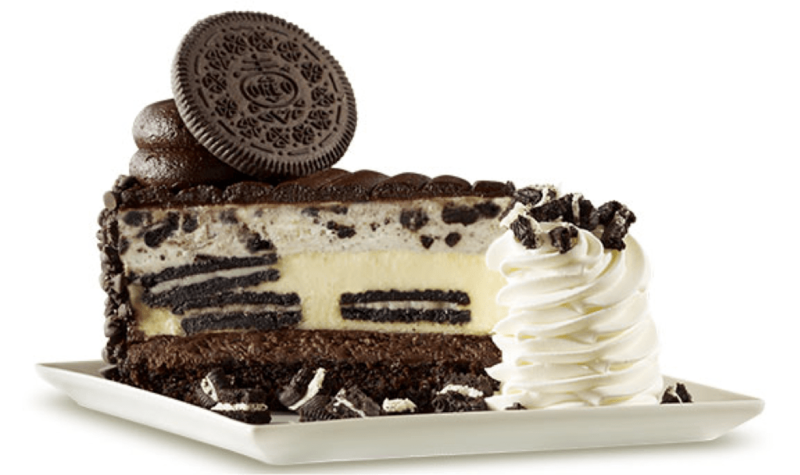 Inspired by the Cheesecake Factory’s own OREO® Dream Extreme Cheesecake, this recipe is re-invented by me. My experience making cheesecakes has taught me that pure delight is reached when decadence does not prevent guests from finishing their servings. Warm the cream until the chocolate melts and whisk until smooth. Layer some of this on the baked cake after it cools. Then freeze to set the ganache. Beat cream cheese, 1 cup sugar and vanilla with electric mixer on medium speed until well blended. Add eggs and sour cream, beating after each addition. Layer a dozen or so oreo cookies on your frozen ganache filling, and pour the cheesecake batter over them. Fill your pan leaving one centimeter from the top of the pan for the cake to rise. Bake immediately while it’s still frozen. * Bake the first 15 minutes at the preheated temperature then Reduce heat to 200°F (93°C). Bake an additional hour and a half at the reduced setting. Turn off the oven. In a chilled glass or metal bowl whip the whipping cream. In another bowl combine the cream cheese and sugar. Beat until light and fluffy. Add in the whipped cream and the smashed up Oreo cookies… Then use a rubber spatula and combine gently until well blended and the cookies are distributed throughout. Freeze. * Cut with a hot knife. Serve chilled.